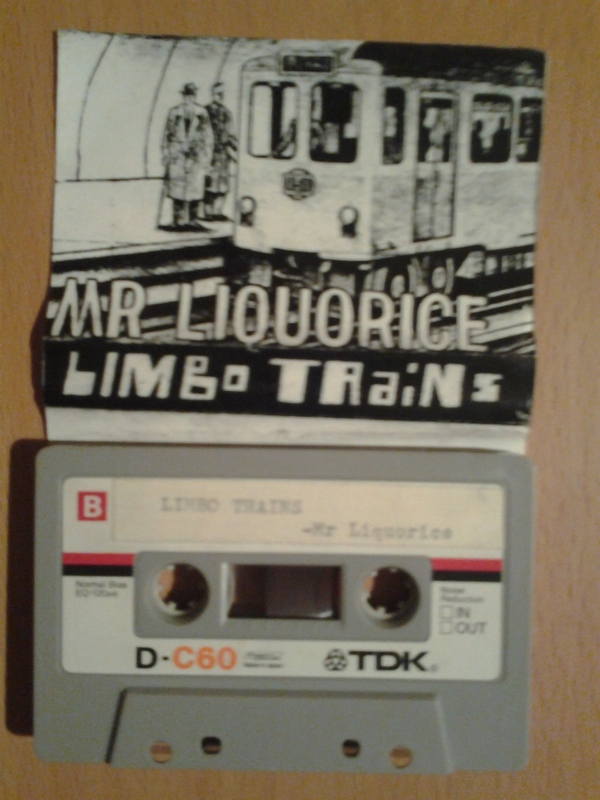 Limbo Trains is definitely one of my favourite release from the early 80’s, an extremely weird output from a relatively unknown genius called Mr. Liquorice (aka Pickle). 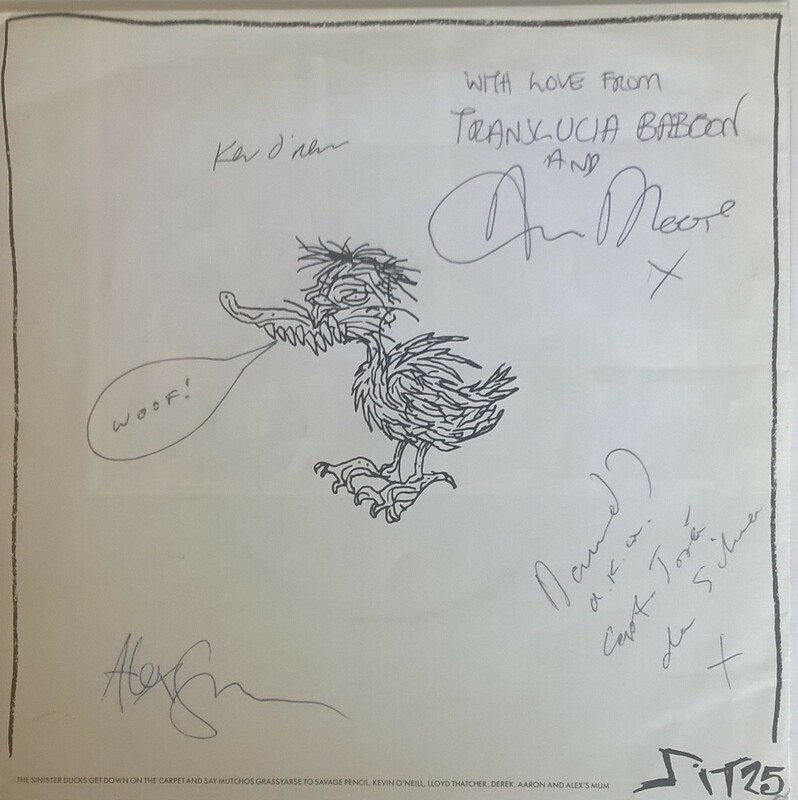 The original Limbo Trains was released almost 35 years ago, after his Mystery Guests years as a solo project, but it has several songs/excerpts from Pickle’s earlier bands including new versions of previously unreleased MG tunes and one Dapper Choir song (Monster Parody). 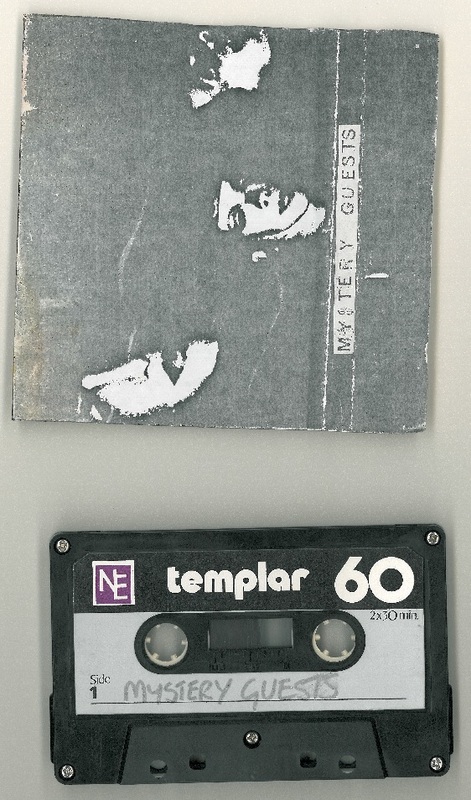 As the original cassette was a private release it’s almost impossible to get a copy now. 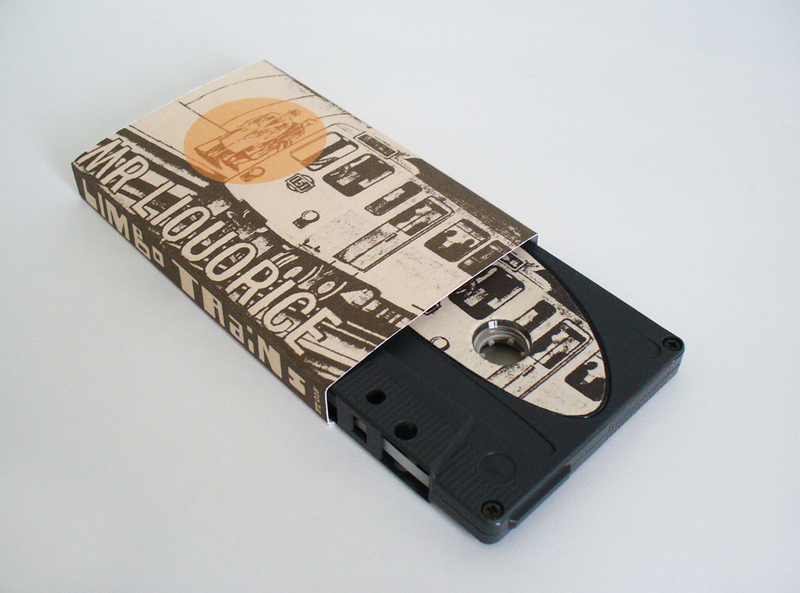 Good news that Pickle just released it on Bandcamp in digital format. 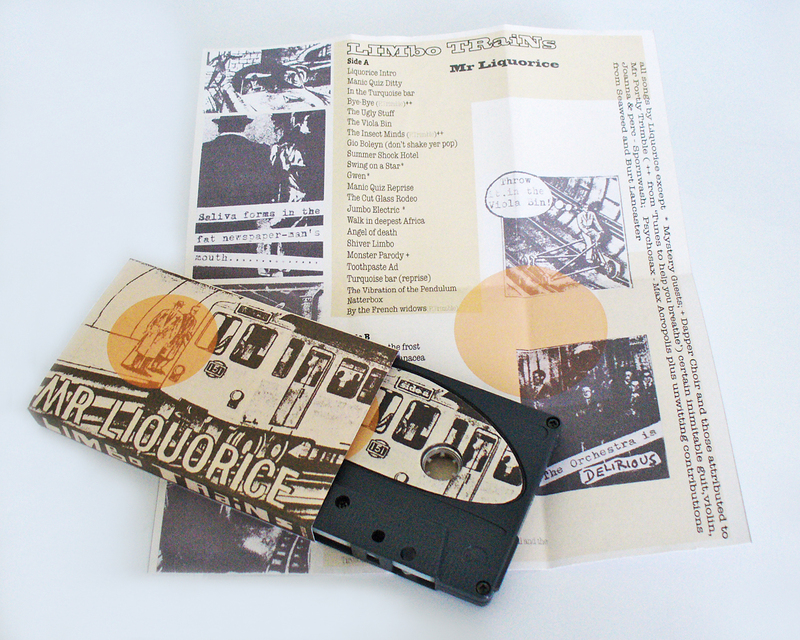 A limited edition cassette version is also available to order on Bandcamp. Go and get your copy ASAP as it’s limited to 50 copies. I just received this beauty recently from Pickle. 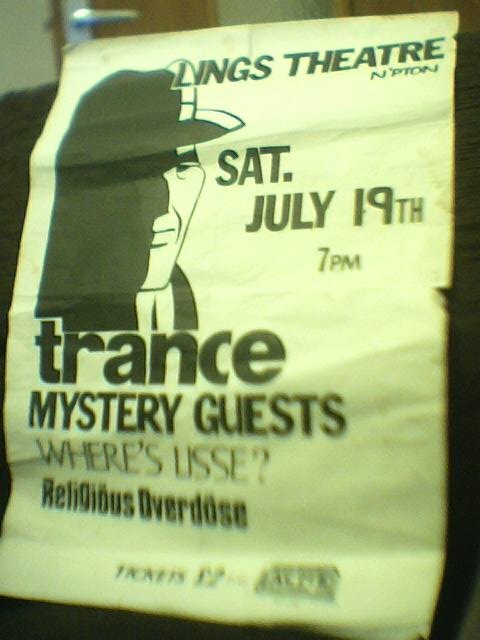 Mr. Liquorice pseudonym was used by Pickle (Mystery Guests) as a solo artist. He did a few live gigs under that name in ’81 and ‘released’ his songs on a cassette called ‘Limbo Trains’. 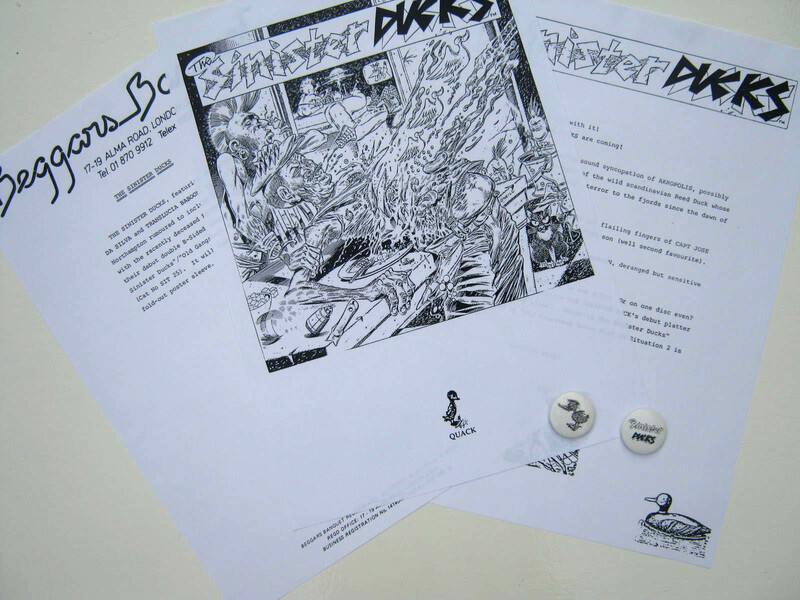 He also produced a one-off fanzine with David J of Bauhaus which has strips by Alan Moore. 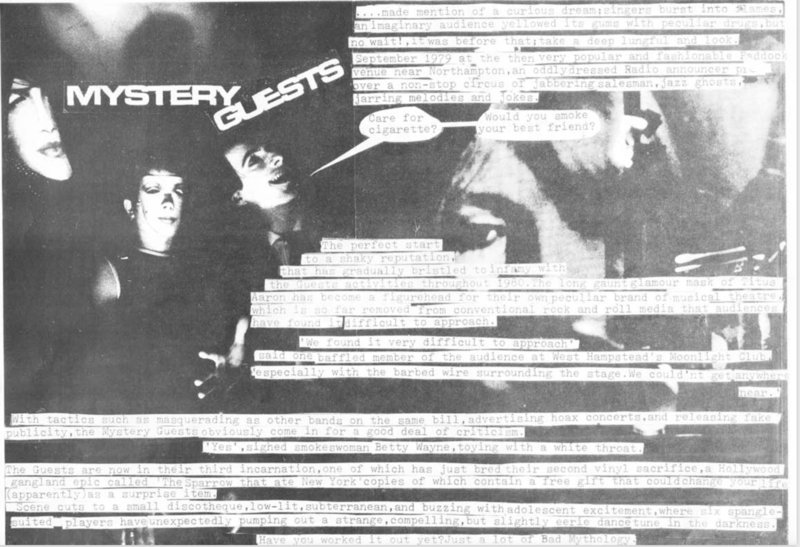 The fanzine that David J and I did together was called TV Murders and was a kind of an anti-fanzine in that it featured no reviews or gig-listings of any kind. Only surrealistic cut-ups and montages. Another commercial hi-point. 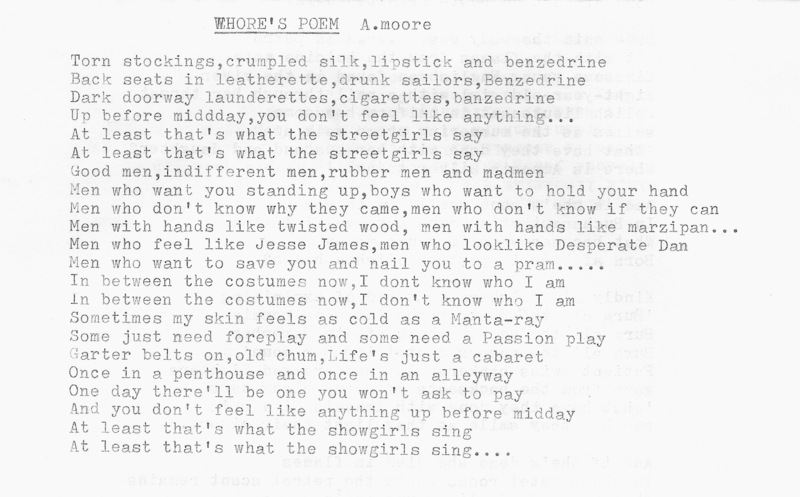 Later in 1983 he contributed some background noises to ‘The Gospel According To Fear’ (b-side track of David J’s debut single) and he did transcription of another David J composition ‘This Vicious Cabaret’ for ‘V for Vendetta’ comic. 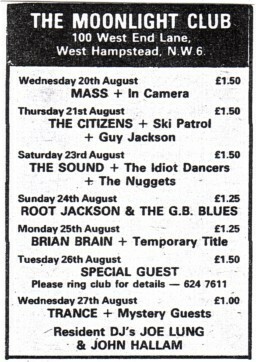 The second Sinister Ducks’ gig was at an event i promoted called ‘The Summer Shock Special’ at the Roadmender which utilised nearly all the rooms in the building for various events and performances. Red and green food and snacks were on sale. 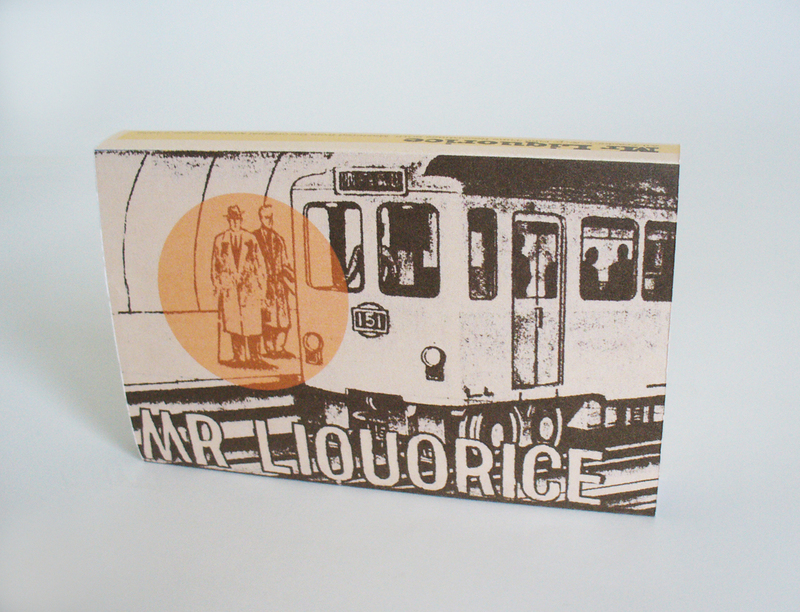 Was also my solo debut as Mr Liquorice. Live gig with Alex Green, he provided sax for 2 songs including Summer Sock Hotel. 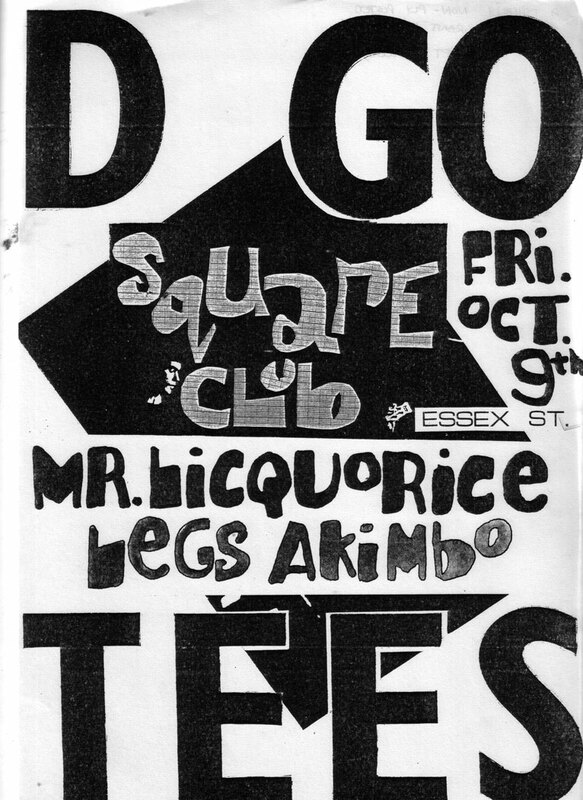 Live gig with The De-Goo-Tees. ‘LIMBO TRAINS’ tape came out. It has ‘several dozen mini masterpieces’ including Summer Shock Hotel, The Cut-Glass Rodeo and Limbo Trains. It also includes a short instrumental version of an old Dapper Choir song called ‘Caption Music’. The DFH was held on Saturday lunchtimes at the Racecourse Pavilion in Northampton. 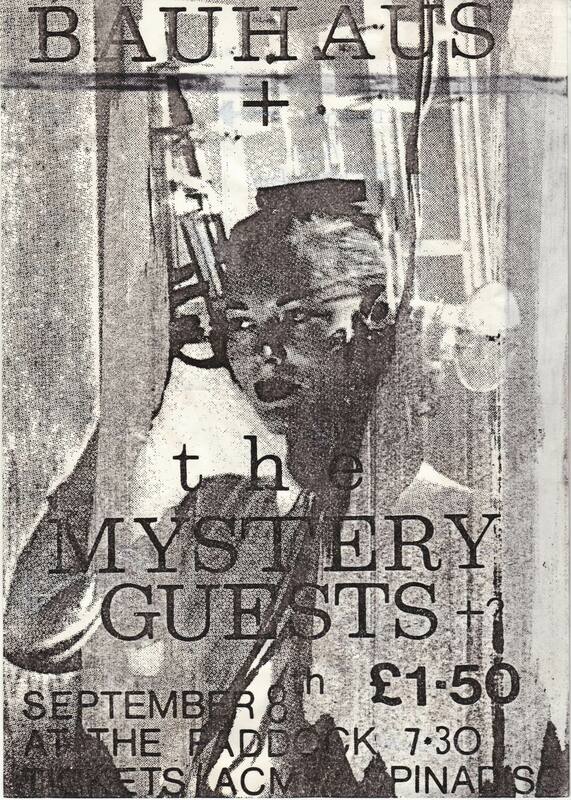 There were Super 8 cartoons every week and a couple of bands. 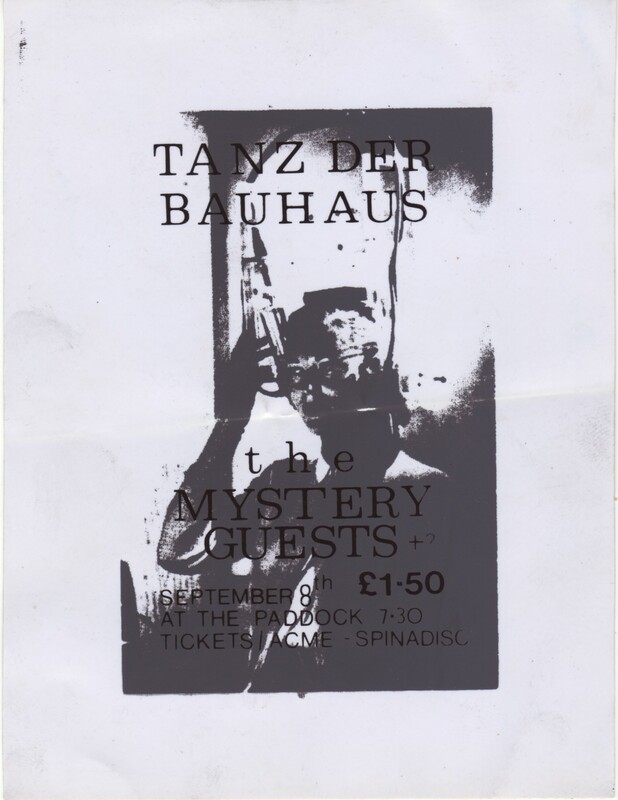 I think Bauhaus did the first one and then got too big to play for the zero pounds guaranteed fee i was able to offer. As Alan says, most of my promotions at this time were financial suicide. But then so was Woodstock! The whole series ended suddenly when a water pipe burst during one of the gigs and caused flooding damage in the tens of thousands. 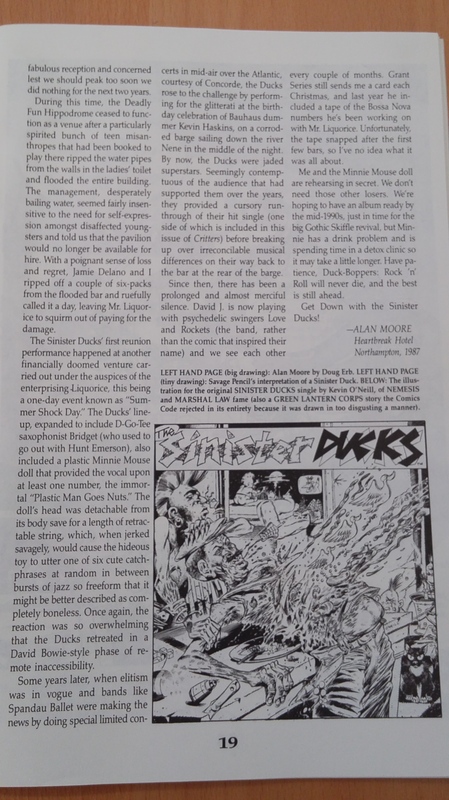 After reading the account of the Sinister Ducks outing, I can safely say that whenever they played, it wasn’t with us. Im pretty sure we would have remembered that ! I was at the Deadly Fun Hippodrome but don’t remember whether they played or not. 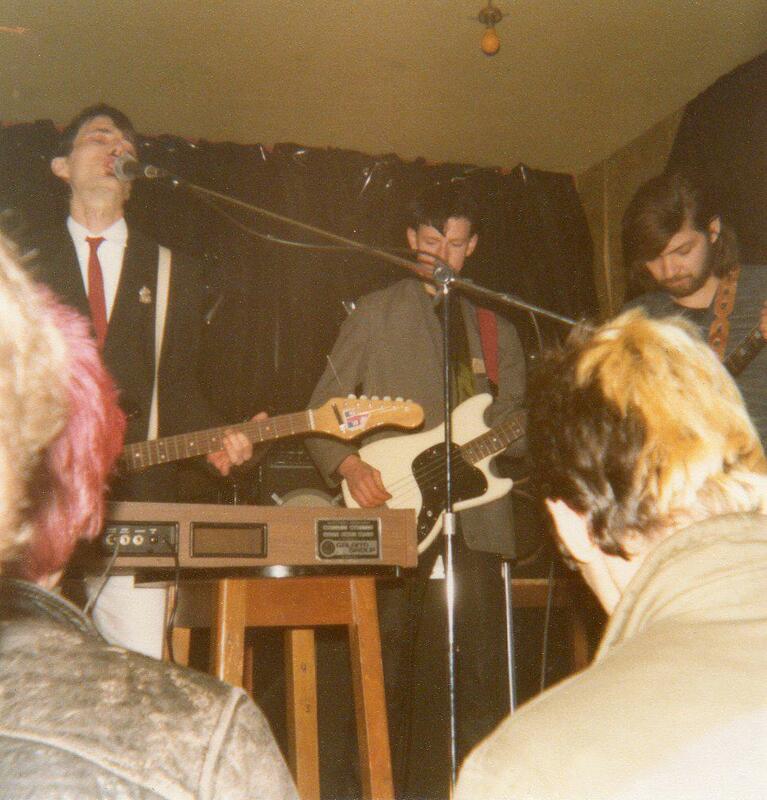 I was playing with my band the De-Go-Tees and may well have been backstage at the time. 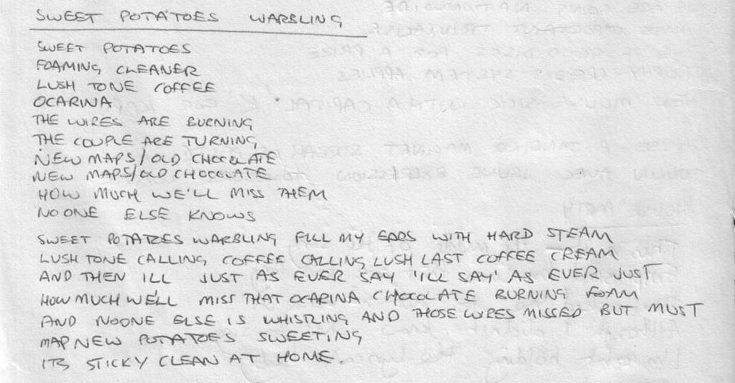 Debbie’s Gloss was one of my songs for the De-GoTees (Grant Series being my alter-ego at the time). 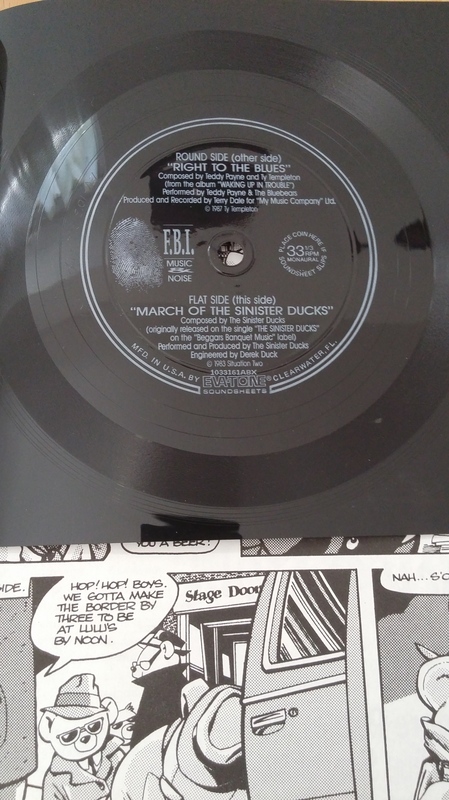 I may have a demo of it somewhere, but the main lyric was: ’I’m mad about the motion of Debbie’s Gloss.’ I certainly don’t recall the Ducks ever playing it … the line up was: Grant Series (Gtr, vocs), Alex Green (sax) David Hunt (BS) Geoff Webb (drs). 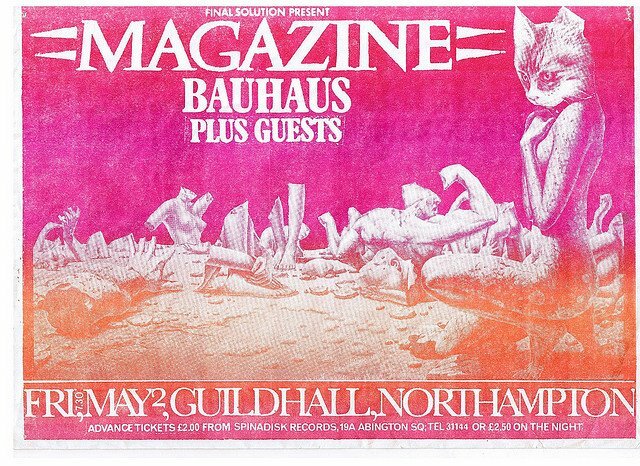 We were supporting Bauhaus 1919. I can only remember one or possibly two concerts – definitely the Roadmender when they did Old Gangsters Never Die. Debbie’s Gloss was one of my songs for the De-GoTees […] I think I did it solo at the Roadmender along with some tunes where I was playing a Bontempi organ. 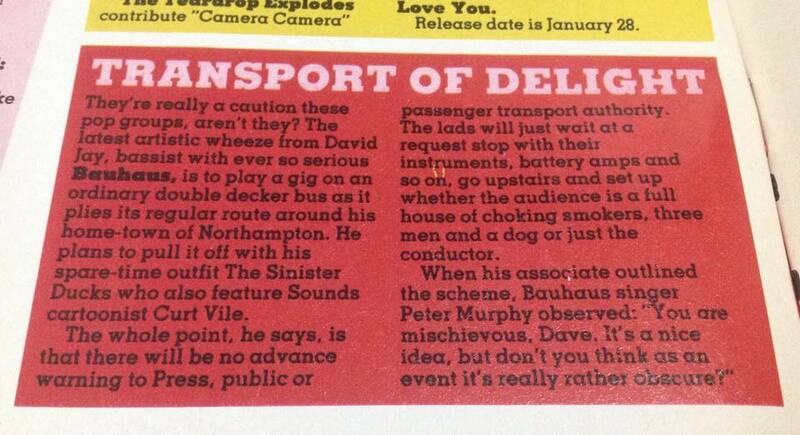 ‘Transport of Delight’ article. Thanks to Flavio. It must have been a really good party as I have no recollection of it! It may have happened or it may have been confused with my wedding reception which took place on a narrow boat, on the canals surrounding Northampton. The boat was called the Saucy Sue and we had a costume wedding (all guests in fancy dress). Now Alex Green along with Pat Fish were the wedding band! So there is a connection there with Alex. 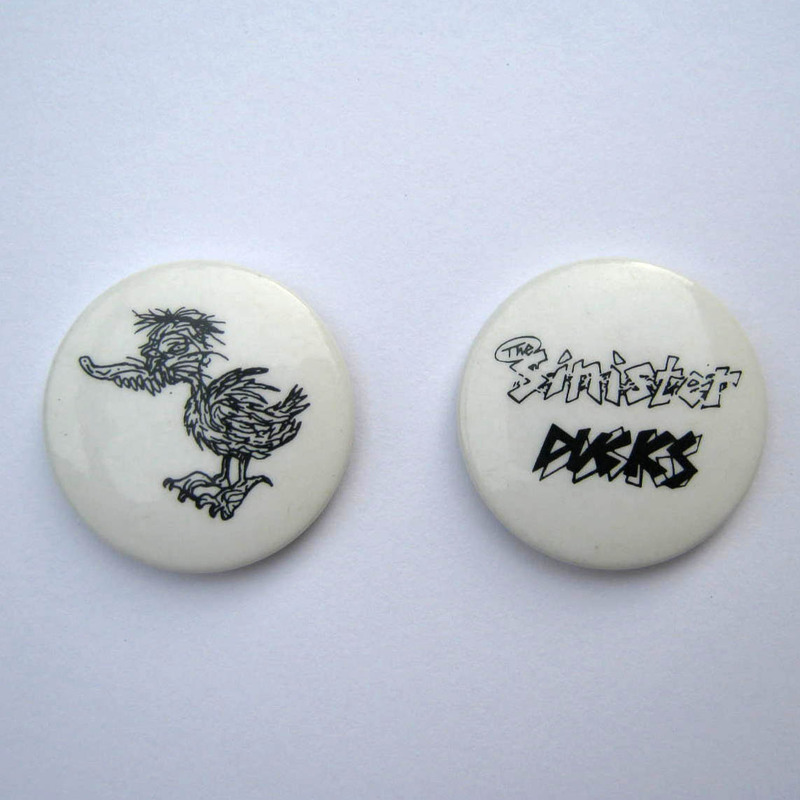 But it wasn’t a Sinister Ducks performance. 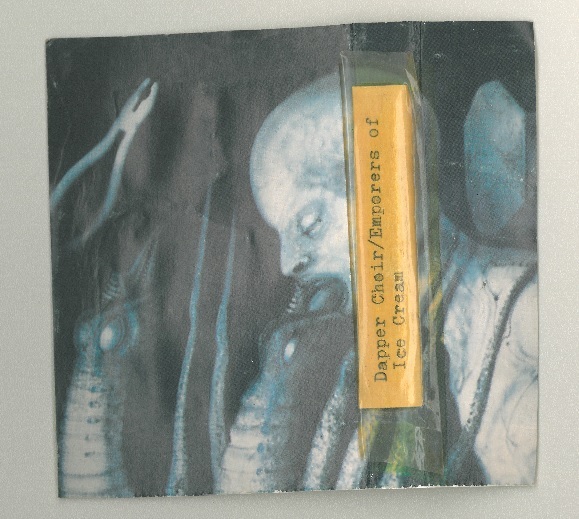 Also includes tracks by Satanic Nurses, The Emperors of Ice Cream, Alan Moore / Pat Fish etc. 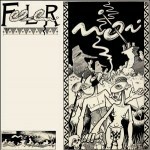 An original song with lyrics & lead vocals by Alan Moore. 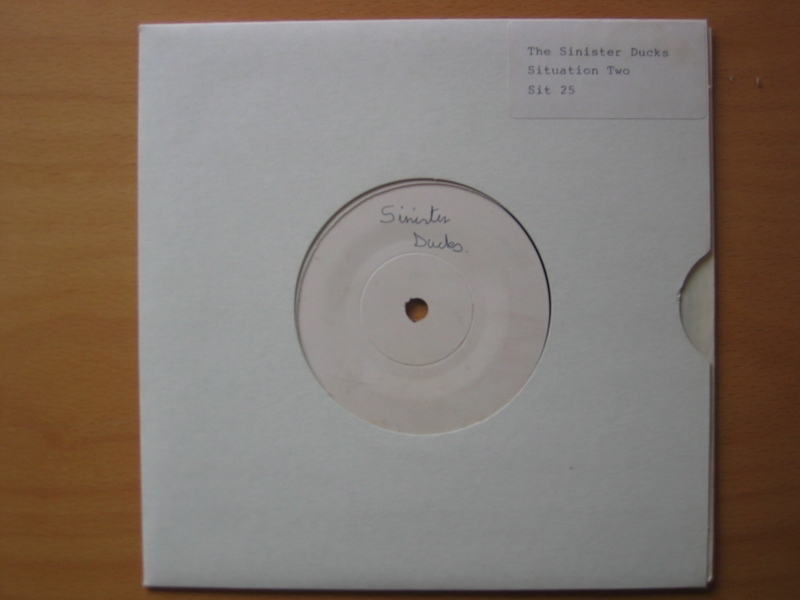 Released on 7″ single and played live. 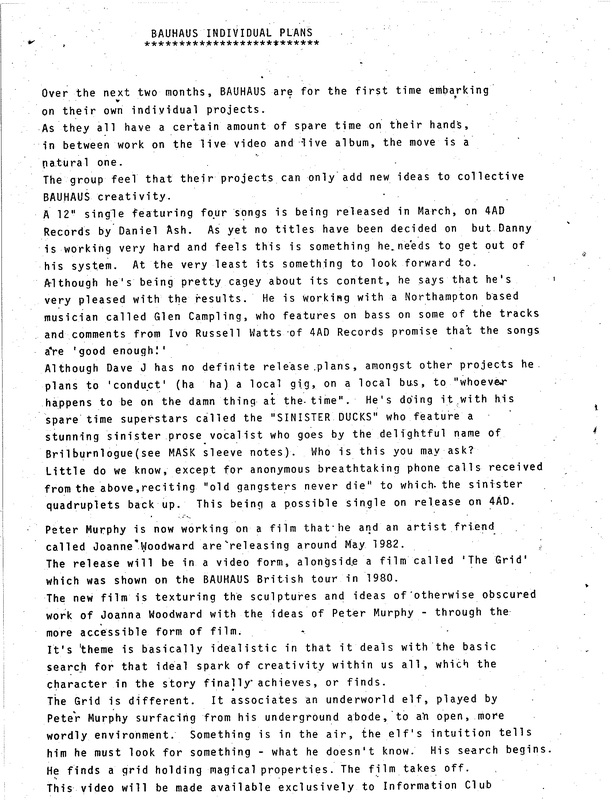 Regarding the Critters article it was played live at the very first Ducks gig by Grant Series (although he has no recollection of it). Also played live by the D-Go-Tees. 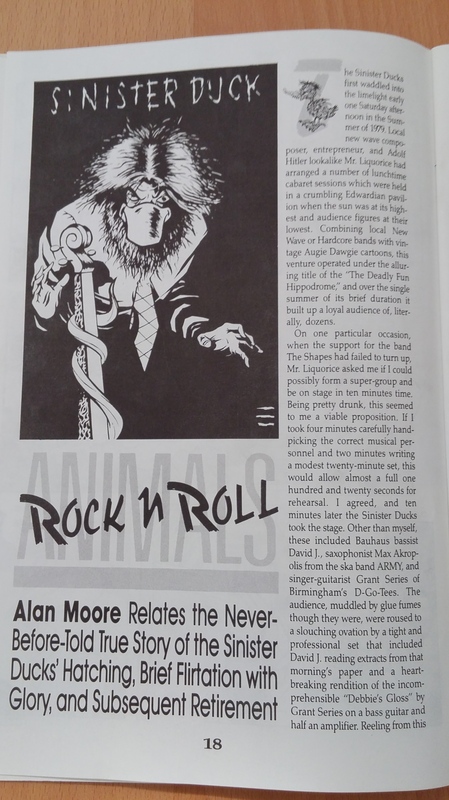 Also mentioned in the Critters article by Alan Moore. It could be an original song. 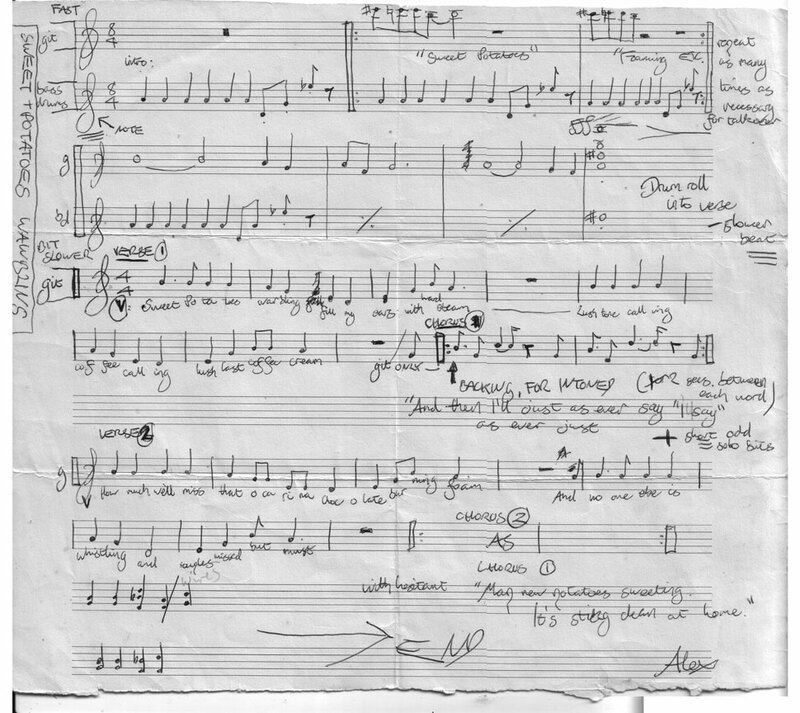 An original song with lyrics & lead vocals by Alan Moore. An original song with lyrics & lead vocals by David J. A spoken word piece by David J. An (almost) acapella cover of Frank Sinatra’s classic with lead vocals by Alan Moore.